There was a time when the sight of monuments made you delirious. You still remember how happy you were when you saw the group of tombs in Ashtur near Bidar in Karnataka. Ashtur is the royal necropolis of Bahamani Sultans. Or the time when you walked the wooded path to finally make your way to this temple in Terahi, deep inside north MP, with sculptures of ghastly skeletons and ghosts chomping on bones for company. These days you have a new reason to feel delirious. Delhi despite the bad rap it gets for the foul air, has its moments of sheer beauty. These moments are ephemeral and the luck has to smile on you to savour these moments. But then luck favours the brave. Getting up early on Sunday mornings qualifies as the highest order of bravery. And the luck will smile and how! Just when the sofa was becoming comfortable watching Saina and PV Sindhu slugging it out in the Commonwealth Badminton finals, the match is over in two games. You wrench yourself out of the house. Sunday mornings are really tough to leave the bed. 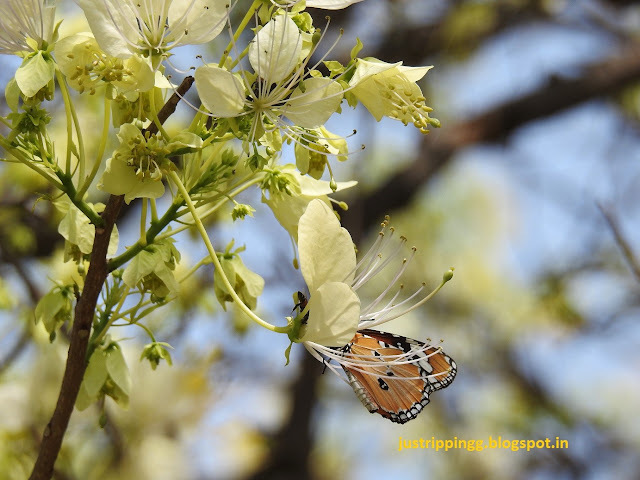 But the rewards have been commensurate over the past few weekends as you go tree spotting across the parks and avenues of New Delhi. 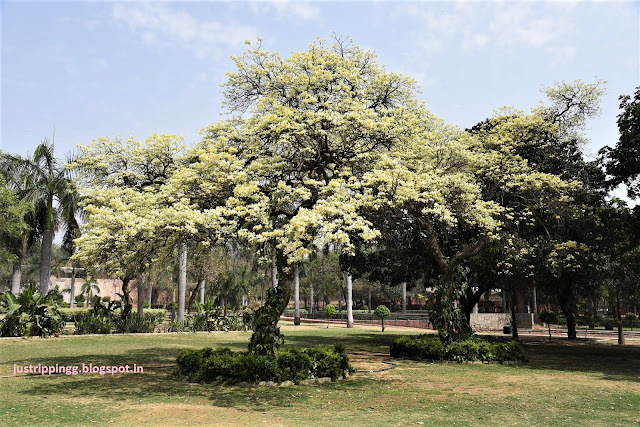 Bougainvillea blitz in Lodi Gardens, yellow shower of Caribbean Trumpets and the vermillion fire of Palash on the ridge have made you discover the pretty nature side of Delhi. You usually plan as you drive out. Last weekend, Sanjay Van, the rapidly getting ornamented part of South Central Ridge in Mehrauli won as you tossed a coin in your head. This time, you have a feeling that Talkatora Garden will surprise you. It does and how! This is your second visit to Talkatora Garden and this time you realise the park is a treasure trove of trees waiting to be discovered. 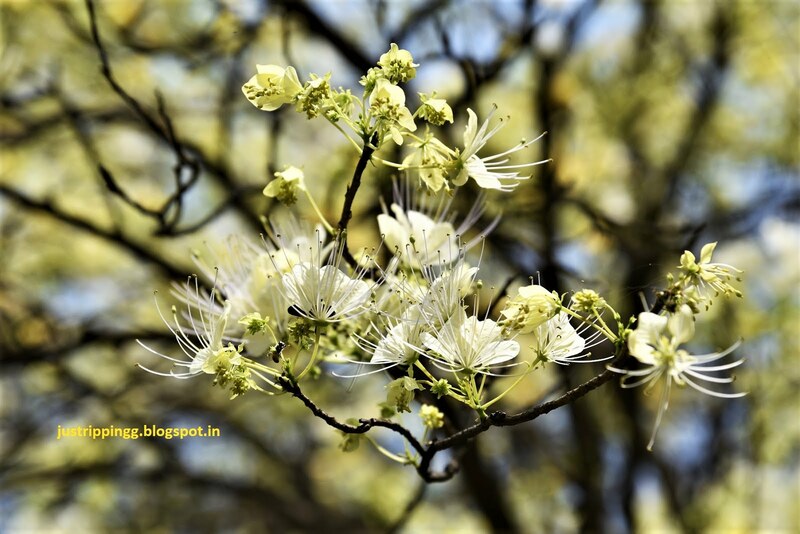 Trees like Sita-Ashok, Amla, Gab, Kadamb (yes, the real one) and dozens more will keep you busy and awed. 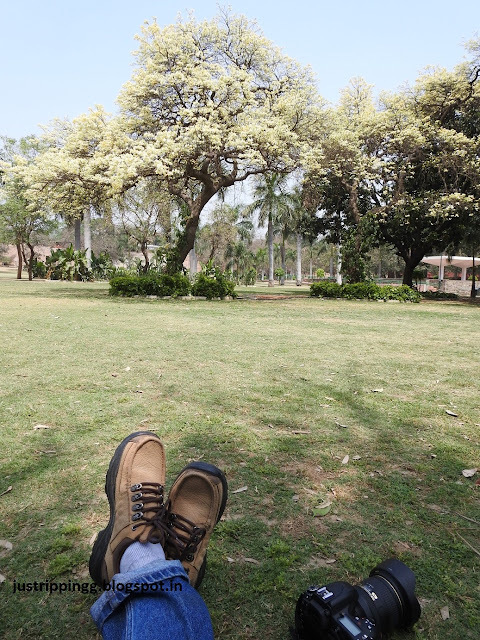 Per square metre, it seems Talkatora has more interesting trees than other well known parks in Delhi. You will already be giddy with delight. The next stage is about to come. The needle is hitting the red zone of the giddymetre. And it will blow the roof off. Peeping behind the probably largest Kosam tree in Delhi is the biggest surprise. You do a double take – is that Chudail Papdi’s stack of golden asharfis that you recently saw at Allah Aashiq Dargah or is it what you think it is. 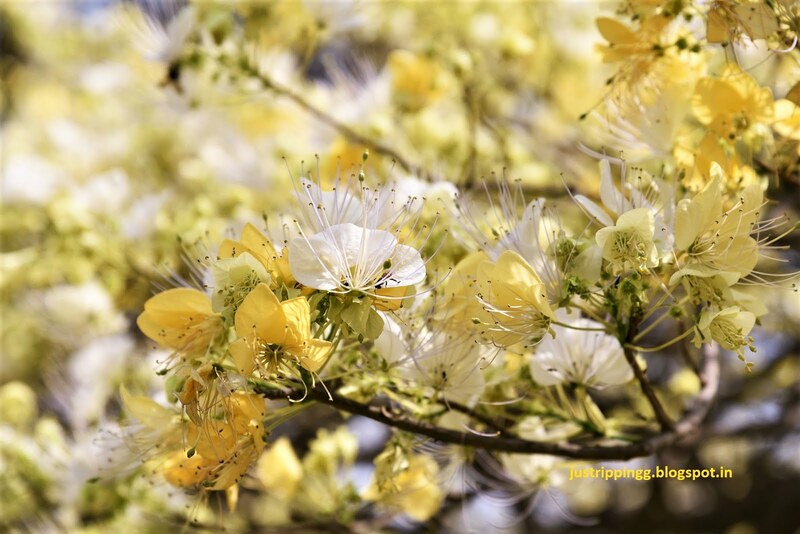 A tree blooms in white and yellow glory. You pretend you don't see it. This is a game of hide and seek. It could just disappear. You approach the tree gingerly. You are not sure if what you are witnessing is real. 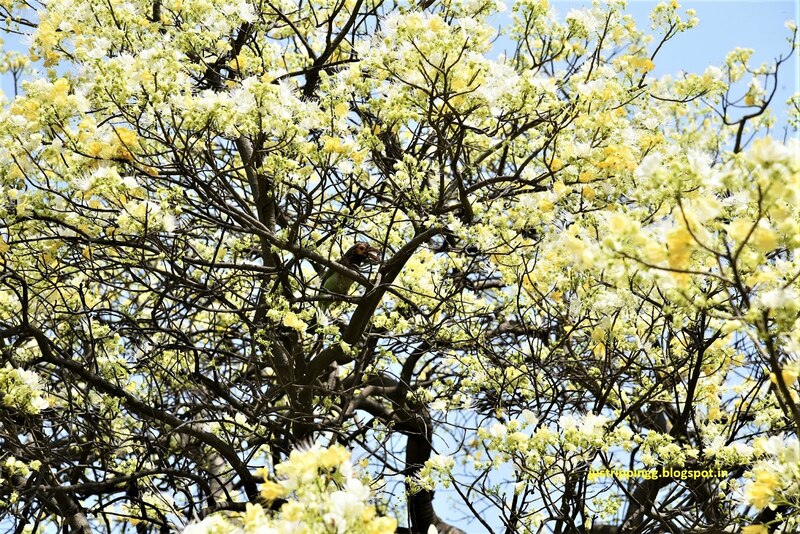 This is a Varun tree clad in breathtaking spring finery; and it is real and absolutely spectacular. You have not seen a sight so beautiful. This is a view straight out of Japan’s Cherry Blossom Festival. For first few minutes you go delirious. Earlier, it was the monuments; now trees seem to have the same effect on you. You are in a spell and unable to understand what to do. For the next hour you circle the tree several times; you stare, you gape, you sit, you admire, and then you give up the idea of the next stop. These spring flowers, as you have found out are ephemeral – you are sure the moment you turn your eyes away they will be gone. Flowers are popping out everywhere - even from the main trunk of the tree! The tree is absolutely bereft of leaves. 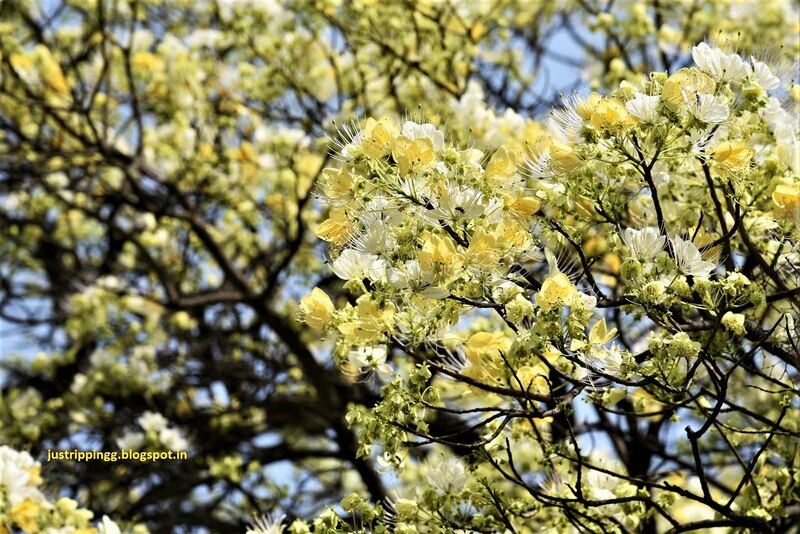 It is just branches and flowers. 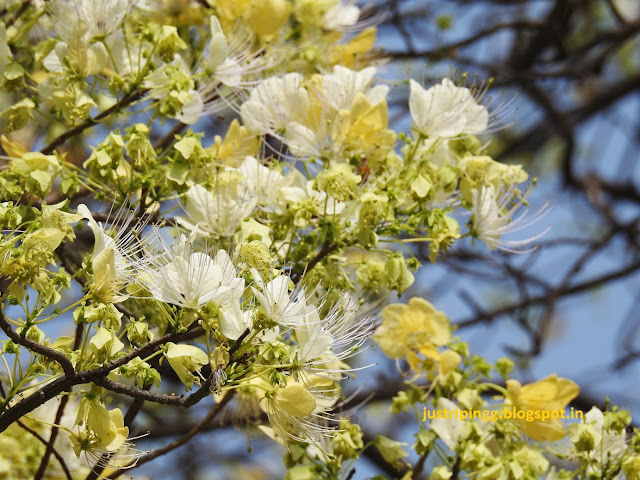 The flowering is so profuse that it seems flowers are sprouting even from the branches. The bees and butterflies are going crazy. All you can hear is this constant buzz of equally delirious bees. 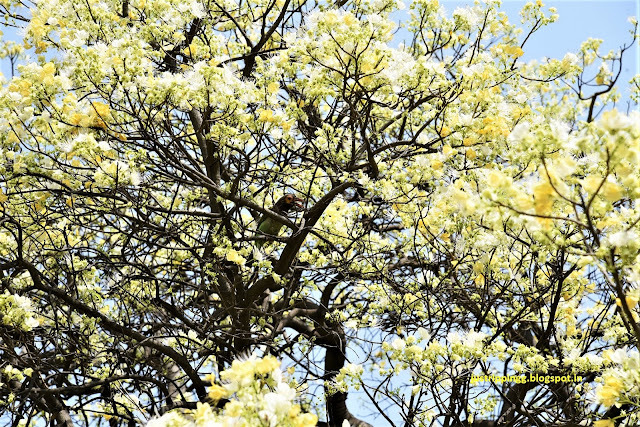 A Barbet is hopping among the branches. The scene is getting prettier by the minute. You don’t want to go anywhere. You admire the tree from a distance, then you walk under the tree admiring the scenes some more. Sometimes the flowers look like butterflies themselves, sometimes they sparkle like gems against the sun. Against the dark canopy of a mango tree they seem to bejewel the mango leaves. You lie down on the grass under millions of glittering stars. This is your own gossamer universe. A universe that is only seen during daylight. It is an universe that sways gently and seem to change form with the slightest breeze. It is an universe inhabited with bees and butterflies. Occasionally, a shooting star falls on you. You can look at the views all day. Varun or Barna (Crataeva adansonii subsp. 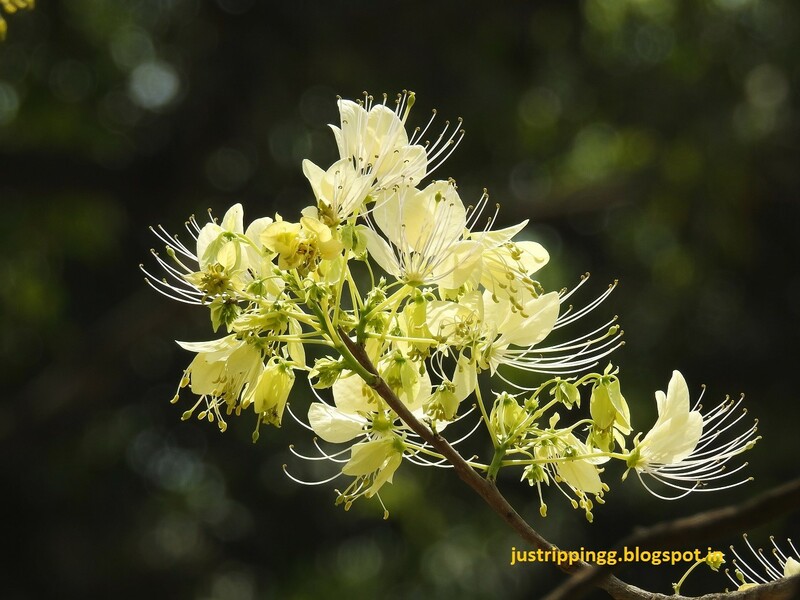 odora belonging to Capparaceae or Caper family) is a small crooked deciduous tree found across India, Indo-China and Africa. 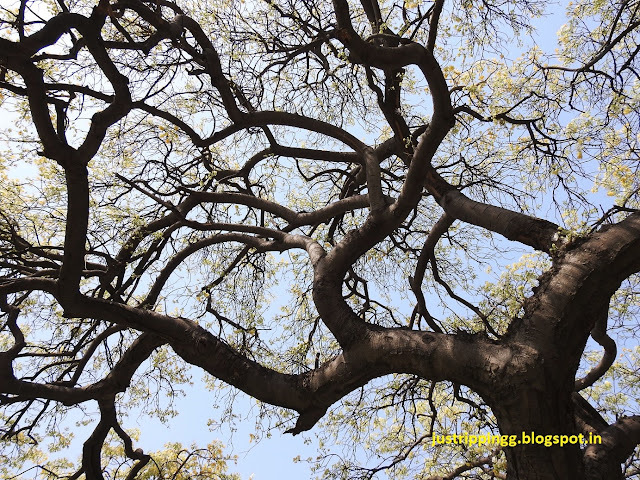 It remains leafless for long periods to withstand drought. But in late April it turns out a scintillating show with its densely clustered white flowers that gradually turn yellow. The stamens with electric-purple filaments make the flowers absolutely stunning. No wonder the bees have the buzz without partaking of any beverage. 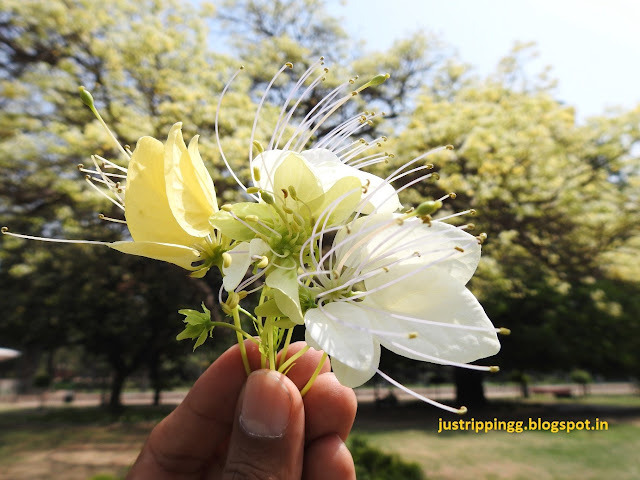 You remember seeing your first Varun tree flowering on the road in front of the Yogmaya Temple in Mehrauli. That was just a teaser. After couple of years, Nature puts on a full feature film just for you. But then not everybody is enamoured of the sight. Kids play cricket totally oblivious to the sight. Lovers scattered around the bushes have more important things to do. It seems the spectacle of the Varun is only visible to the bees, butterflies, the Lineated Barbet and you. But then Nature arranged this sight just for you. These last few days have been remarkable and Nature wants you to keep enjoying the sights. You are pretty sure there are more surprises coming before summer’s last showstopper show of Amaltash. Delhi, you are indeed beautiful! Lovely flower! Aptly named as glittering stars. Great pictures and captivating writeup, Nirdesh. Wondering how this flower connects with noses..
Hope you are doing well! 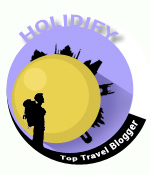 I was away exploring Upper Assam and therefore this delay in replying. 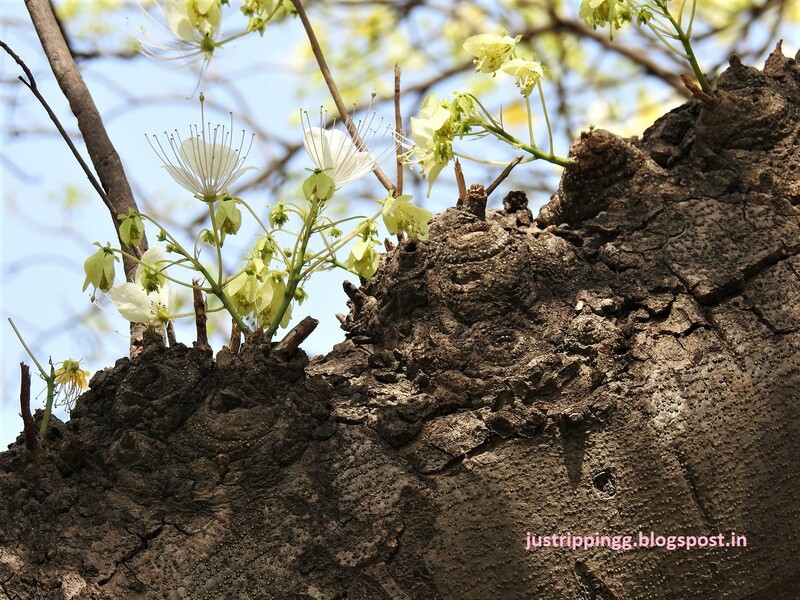 Until now I had just seen a tree in Mehrauli flowering sparsely. Not even in my wildest dreams I could have imagined the Barna tree would look so absolutely beautiful. Later I discovered even more trees around Shanti Van - Nehru's samadhi by the Yamuna. 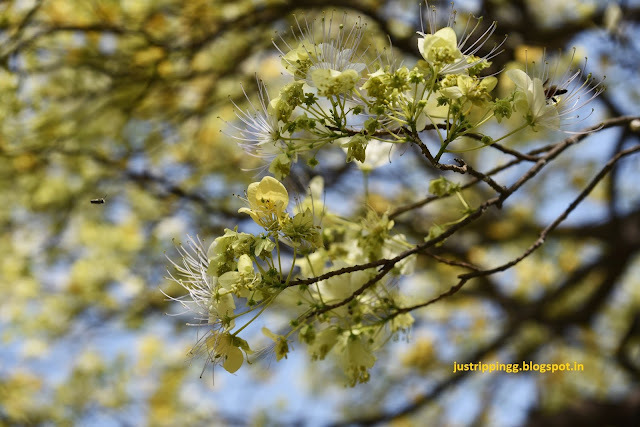 Fragrance wise, the flowers do not smell much but the butterflies and honey bees love the flowers as they went wild around the trees. You actually had to fight with them to take photographs! Hope that you find some trees in Hyderabad.